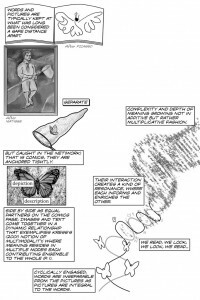 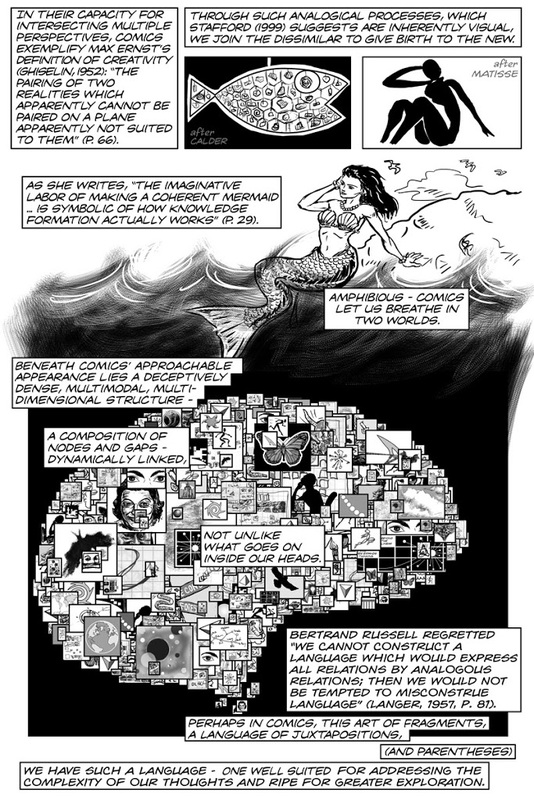 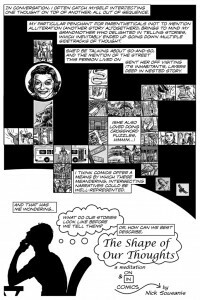 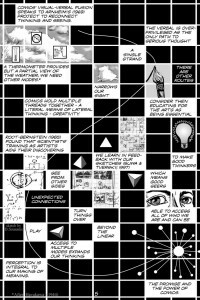 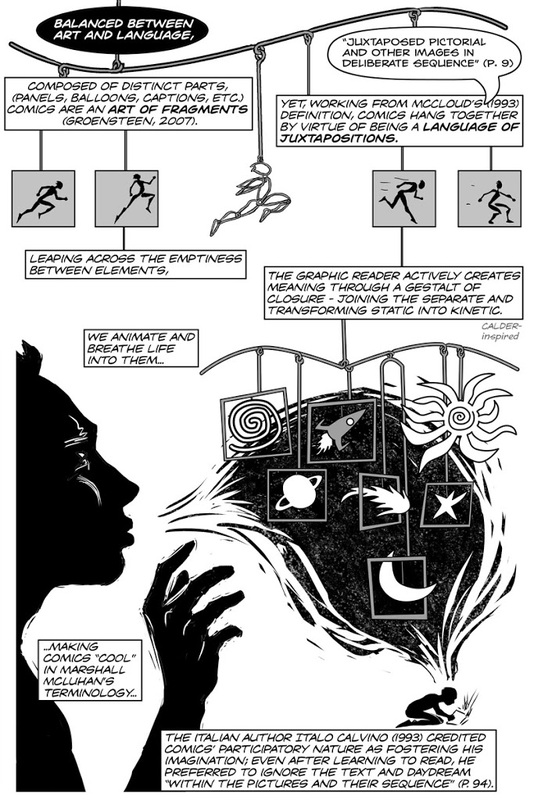 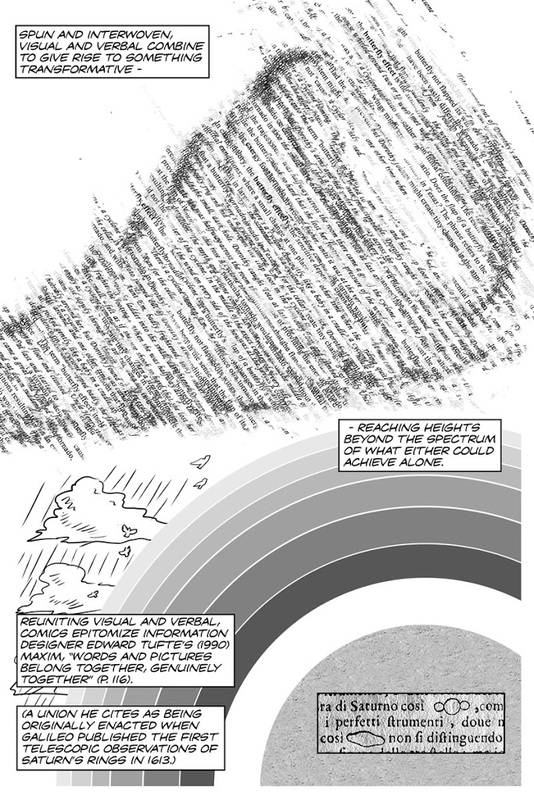 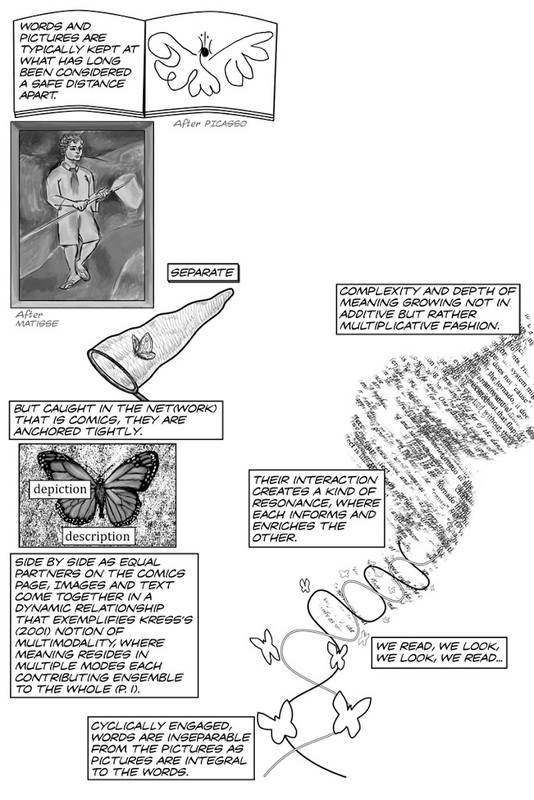 My piece “The Shape of Our Thoughts” a meditation on thinking and how comics work has just seen print in Visual Arts Research Journal, Vol.38 No.1, Issue 74 Summer 2012 (whew!). 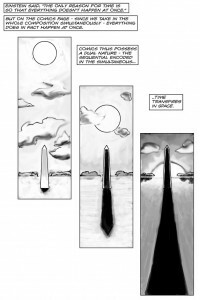 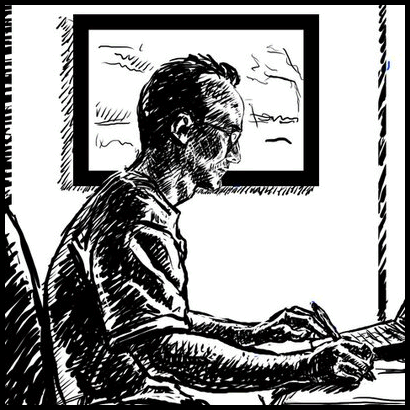 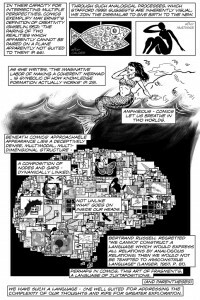 The entire piece is devoted to the graphic novel and art education – all scholarship in comics form. 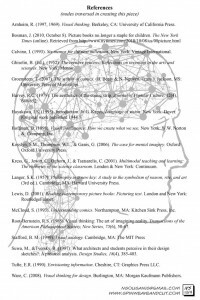 You can check the full issue out here and see all the other contributors’ works. 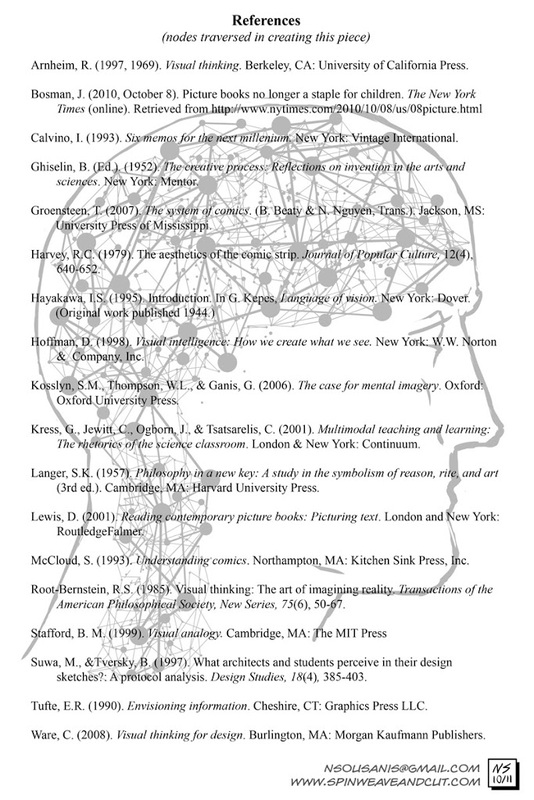 Thanks to editors B.Stephen Carpenter, II, and Kevin Tavin for the inclusion. 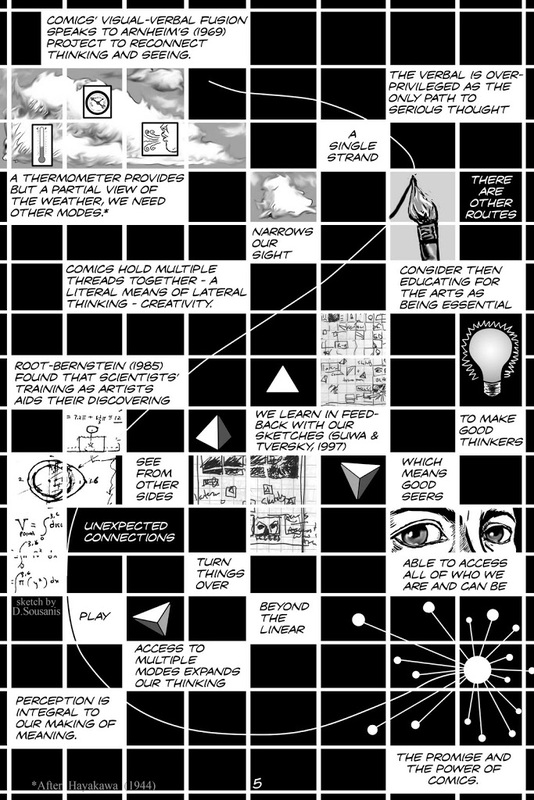 I’ve posted this on the site before (here) and also the original 6-page proposal version of it here. 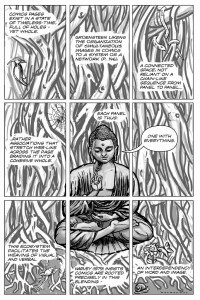 After the original proposal was accepted, I was given the opportunity to revise and expand it – which posed some curious challenges in reworking and adding pages to go from 6 to 10 pages. 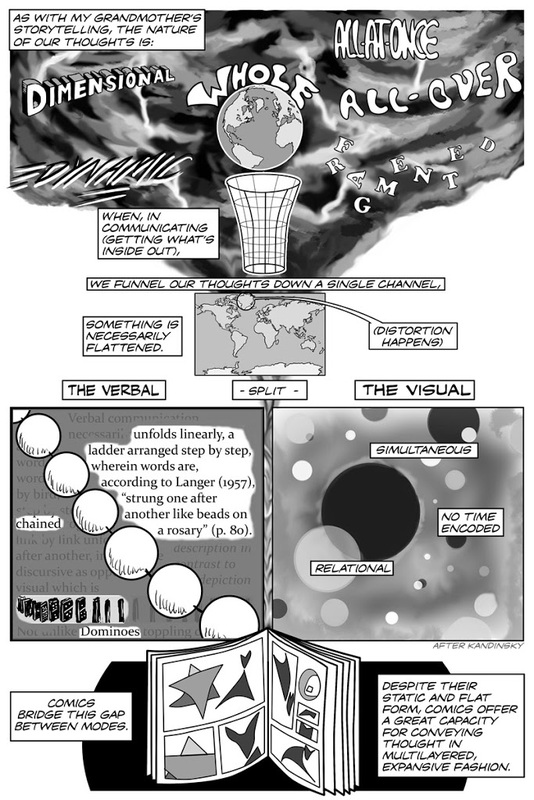 (In comics, it’s not the same as simply inserting an extra paragraph and letting things scroll to the next page…) It’s interesting to compare the two versions and on the earlier version, i’ve also got commentary on the images. (oh yes, in case not immediately apparent, 6&7 are intended to be a double page spread).